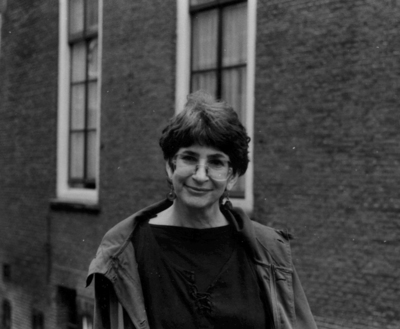 Born in 1943 in what is now the state of Israel, Tanya Reinhart received a BA in Hebrew literature and philosophy and an MA in comparative literature and philosophy at the Hebrew University of Jerusalem, before receiving her PhD in linguistics at Massachusetts Institute of Technology, where she studied under Noam Chomsky. A highly accomplished cognitive linguist, she became better known in Israel for her fervent and unwavering criticism of that state’s military tactics and diplomatic dissimulation. Reinhart taught and published on art, literature and media studies; protested vigorously against the Israeli occupation of Lebanon and its continued annexation of Palestinian land; and held visiting professorships at Columbia University, the University of Utrecht, and the University of Paris. After losing her academic position at Tel Aviv University, where she had taught for more than twenty years, Reinhart was immediately offered a full-time position at New York University in 2006. She died in her sleep in Montauk, NY in 2007.